Concentration Camps of Canada might sound like an unwisely sensationalist book title, yet it’s not entirely unwarranted. Portentously-named author, Baron Alexander Deschauer, seeks to highlight the country’s historically sinister treatment of its indigenous people. Like hundreds of thousands of native Canadians before him, the book’s protagonist young Migizi is forced to leave his parents and attend state residential schools to be divested of his culture, language and indigenous name. At the institution, he is given the European moniker David Bass by the Catholic clergy, who do far more harm than good in the name of the faith they profess. David/Migizi is subjected to exploitation and abuse in the process of becoming “civilised”. His sole consolation is his friendship with Geezis/Matthew, a charismatic and street-wise classmate who takes him under his wing. However, circumstances are soon to rob Migizi of this solace. On leaving school Migizi discovers that, for a native, life is one long rude awakening to systemic injustice; whether as a day labourer, father, husband or decorated Second World War veteran. Canada shares a dark past with its ex- British colony cousins. The stories of native-American genocide are far better documented compared to its supposedly friendlier northern neighbour. 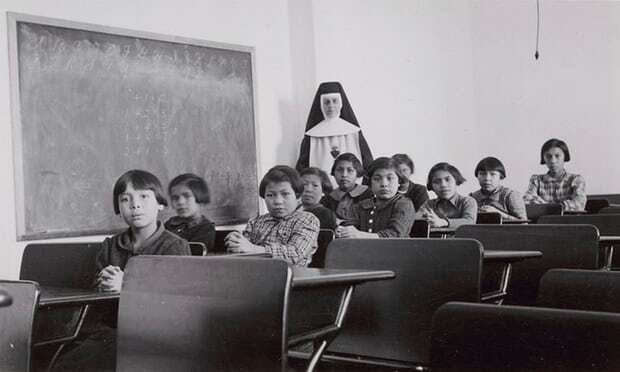 And yet the last of the residential schools in which an estimated 150,000 native Canadians were detained in order to be inculcated with western mores, closed as recently as 1996. Many children suffered abuse at the hands of their teachers; others lost their lives to disease. Having had their children snatched from them in what was effectively state-sanctioned abduction, indigenous parents were left bereaved and denied answers. Outside in the real world Native Canadians were herded into reservations. They suffered the indignity of a pass system (not unlike that of Apartheid) in order to move around the land of their ancestors. Even after official apologies by premiers and Truth and Reconciliation reports that acknowledged egregious government policy, the lives of native Canadians have not always been treated by the state as having equal value with their European counterparts. It should therefore be welcomed that Deschauer’s novel attempts to inform the wider world of another distressing chapter of North American history. Unfortunately, the author’s handling of the topic is clumsy. It’s not clear, for a start, what the novel’s target age group is. The childlike perspective and tone, whilst engaging and authentically innocent at first, never matures past the callow. The slimline novel has the feel of an introductory volume aimed at adolescents. Even if this were the case, it doesn’t esteem the reader’s intelligence highly enough, skimming the surface at best. Characters are casually introduced before disappearing without further explanation. Concentration Camps of Canada can at once be carelessly elliptical whilst unsubtly signalling predictable plot developments. Deschauer’s central character is an indigenous everyman. He could be anyone who came up through a heartless system; an amalgam of thousands of sorrowful stories. This works better in theory than Deschauer's practice. He rushes through major events of Migizi’s life-marriage, children, war, PTSD-as if more interested in ticking trauma boxes than deeper exposition. The women in Migizi’s life are little more than cyphers. It’s evident that Deschauer wants to provide the reader some insight into Migizi’s state of mind but doesn't go beyond the superficial. Perhaps the author assumed that the obvious travesty would evoke sufficient empathy from the reader. On the contrary, the oppression of native Canadians by the settlers and their descendants, deserves to be recounted more skilfully if it is to do their stories justice. Nevertheless, despite its shortcomings, if Deschauer’s book helps spark conversation on an international level about an overlooked atrocity, this would still be a worthy achievement. 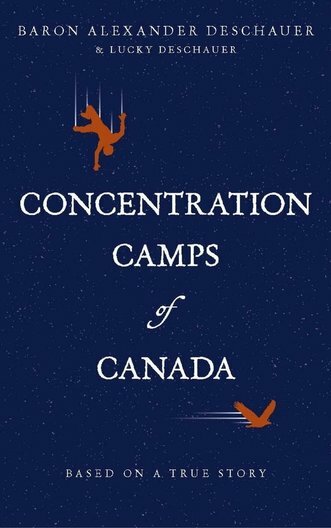 *Concentration Camps of Canada - (2017, Friessen Press: US) out now.